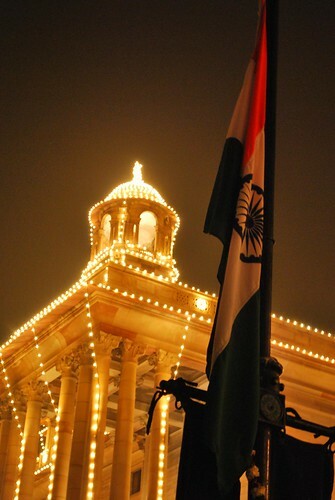 If you roam around Delhi, you can get a sense of how people loved their after life. May be it was their relatives who wanted them to be remembered. Many of the monuments here are tombs. 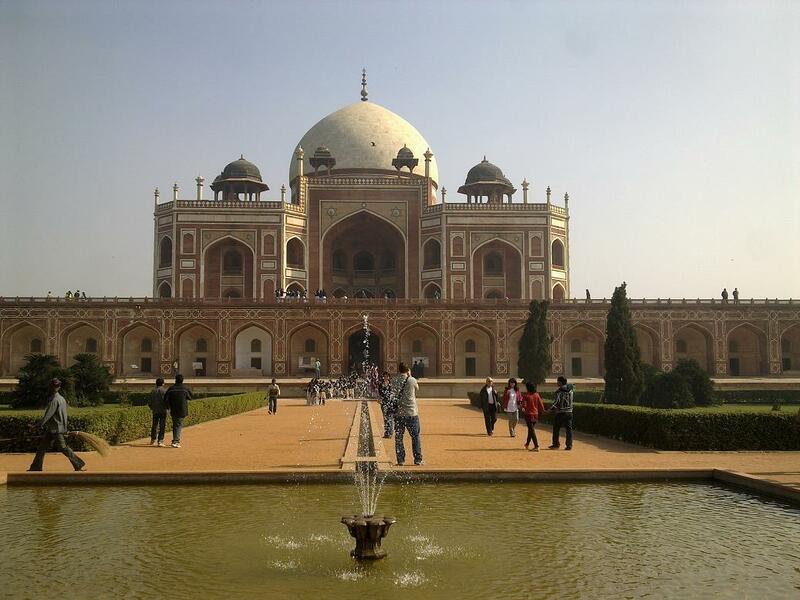 And though Humayun’s tomb is the largest and most beautiful of it all, the ‘parampara’ did not start with Mughals. 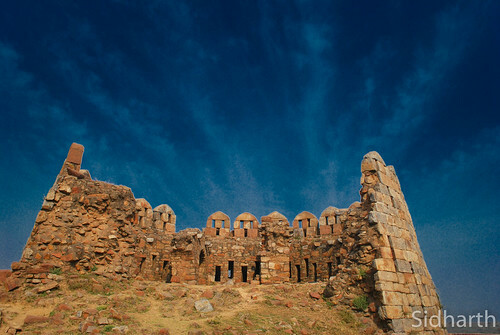 It was prevalent much before – Feroz Shah Tughlaq being one of the examples. 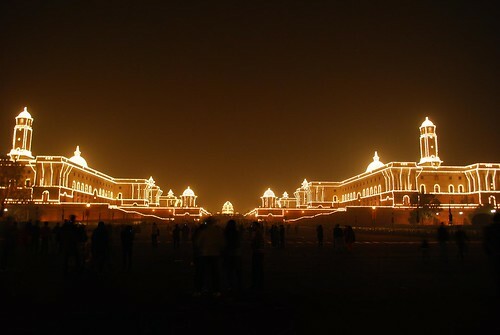 May be the rulers at that time had not imagined that space would be such scarce in few hundred years. 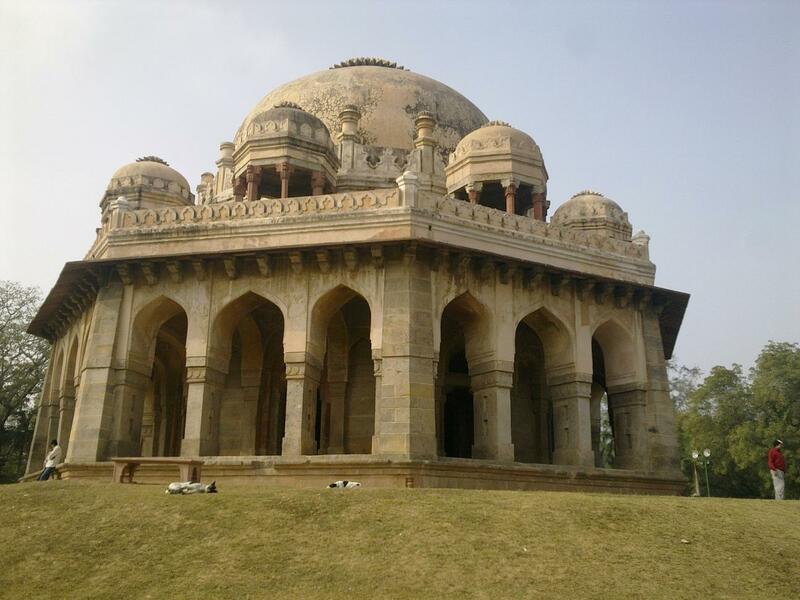 They designed the resting places of their ancestors/relatives as colossal and peaceful places. Standing alone and visible from a distance, they look like an imposing figure in their old ‘black and white’ photos taken a few hundred years ago. Today they jostle for space. Many of them are nestled among the modern markets, hidden by the trees, ignored and visited by people interested in sleeping under the cool tree shades. 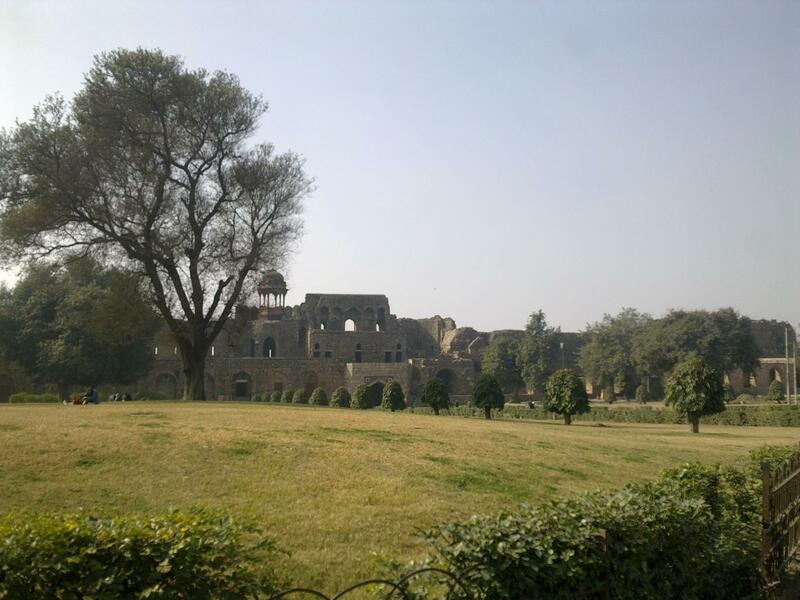 These shades along with neatly pruned green grass was what pulled me too, towards two such monuments in Hauz khas as I, tired after walking a lot, passed by them. There is no recorded history of these places. 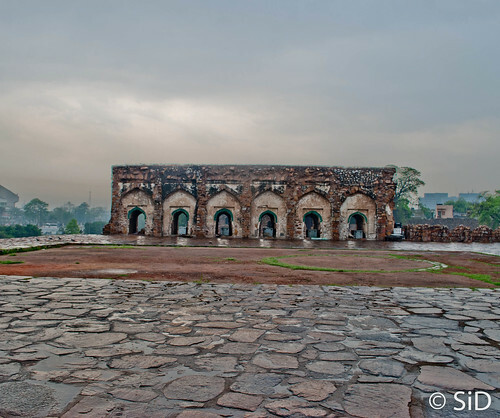 Barakhamba is nowhere near the barakhamba road and simply called because there are 12 pillars in the structure. 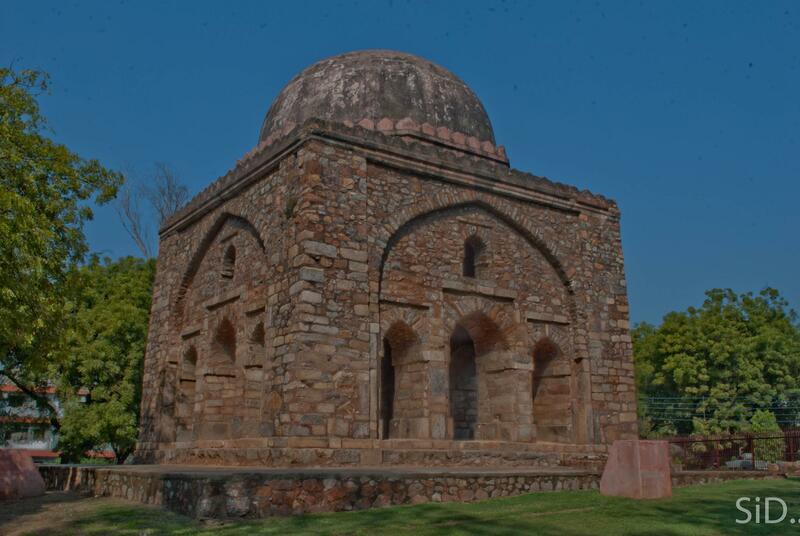 The dadi poti tomb does not get its name from a granddaughter and her grandmother buried there. It is more linked to the size of the tombs. 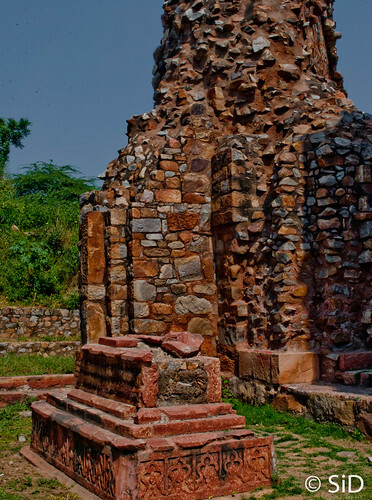 As you can get an idea from random names, no one knows who is buried here and they even belong to different eras (Dadi – Lodhi and Poti – Tughlaq). They have been taken by the Archaeology survey team for improvements and now they look like Aishwarya Rai – beautiful but artificial. Since childhood, I was under the impression that at Jantar Mantar in Delhi, there is a maze of confusing alleys where often people get lost. 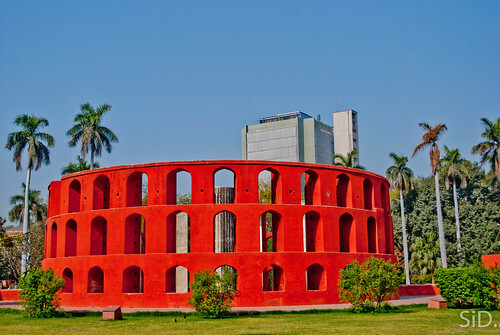 The name – Jantar Mantar also had a sound of mystery and magic to it. I had always wanted to come here to test my sense of direction. Finally when I went there, I couldn’t find anything that one could get lost in. 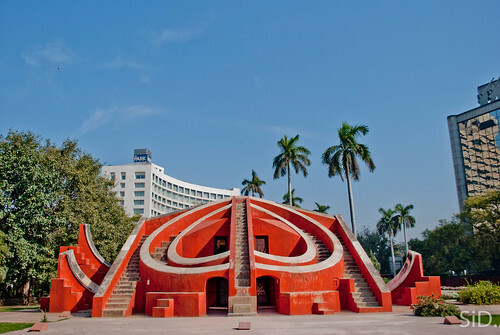 Jantar Mantar is a the 18th century version of a space laboratory. Even if one wants to understand that how the strange-looking structures, it is a bit tough without a guide. These observatories with barely visible scales and markings played the role of clocks 1700’s. They help in calculating time of the day, co-ordinates of heavenly bodies, movement of sun, moon and planets etc. 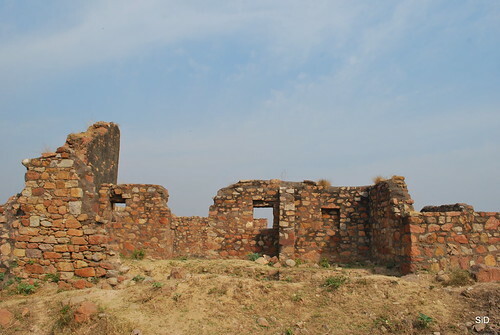 It is generally recommended that you visit this place early morning or late evening – time when you can make some sense of the shadows which helped in the calculations. I went there at 9 but could not really grasp the logic of it all. 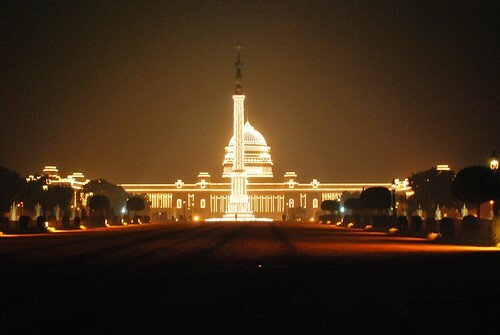 May be its the same for everyone else as people here were more interested in getting clicked among these ‘strange’ structures or relax in the lush green lawns. 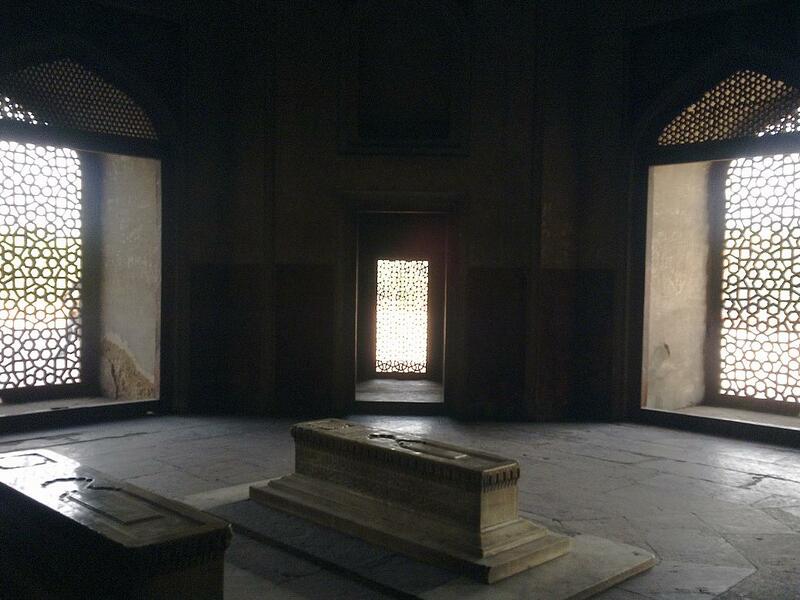 There are tombs strewn all over Delhi. 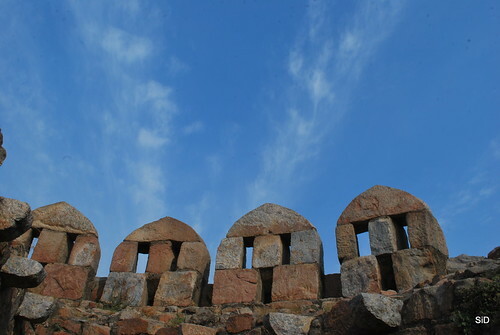 But perhaps one of the most beautiful after-life view is enjoyed by Feroz Shah Tughlaq. 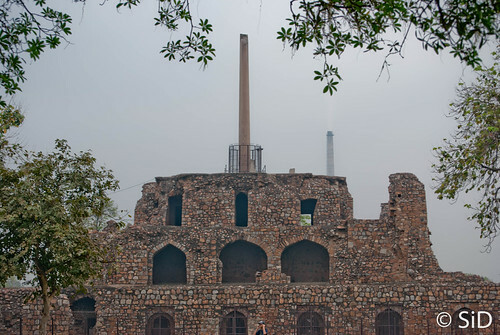 He is the guy who built Feroz Shah Kotla – not the cricket stadium but a city which once stood and was later destroyed (the cricket stadium came in there many years later). 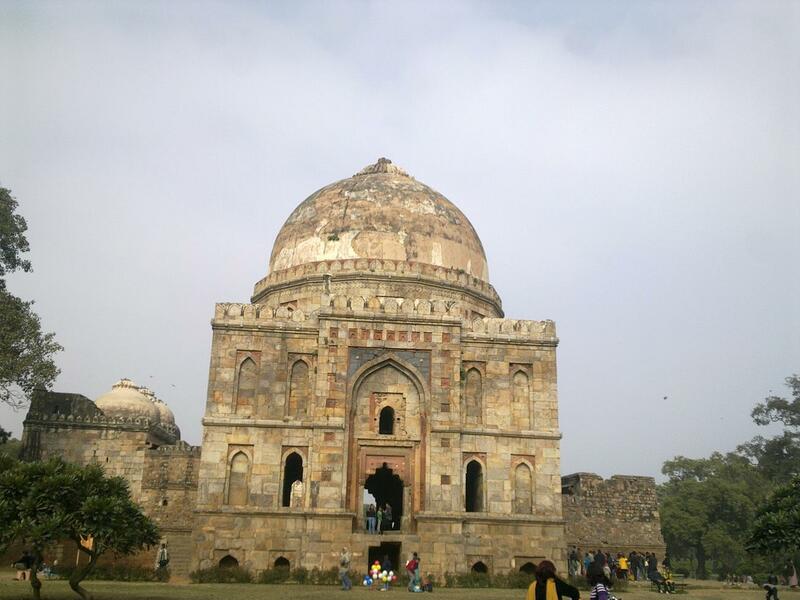 He was a liberal ruler, who came in after his tyrant uncle Mohammed Tughlaq and focussed on education and medicine. He built around seventy dispensaries and many Madarsas. 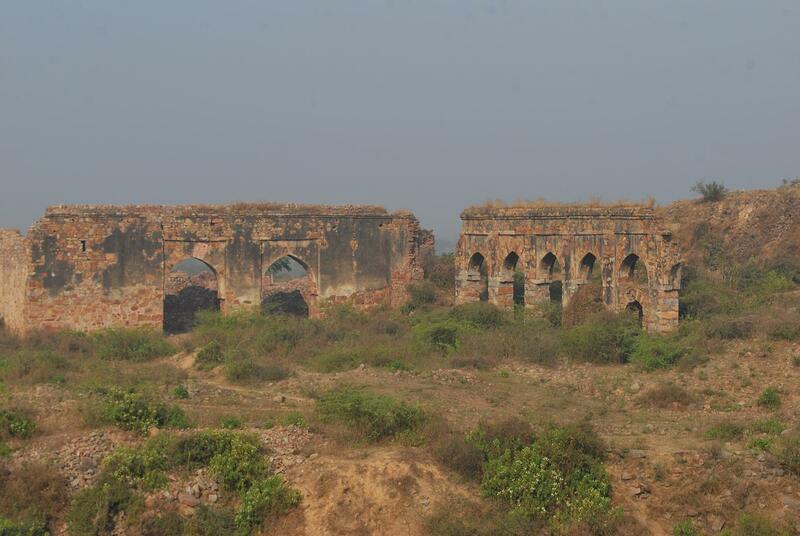 One of the them was at the Hauz Khas overlooking the magnificent Hauz Khas tank. He liked the view so much that he decided that this place would also be his resting place. 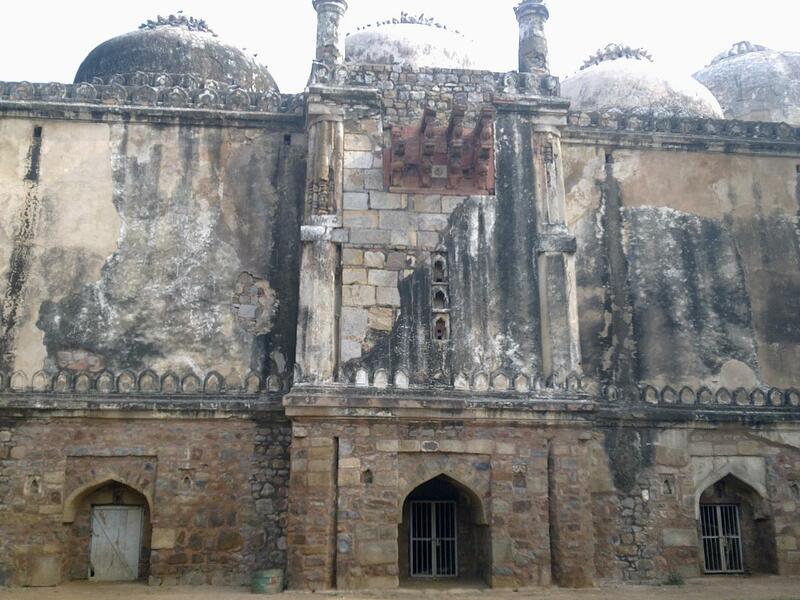 Along with the madarsa he built his to-be tomb 30 years before he died. 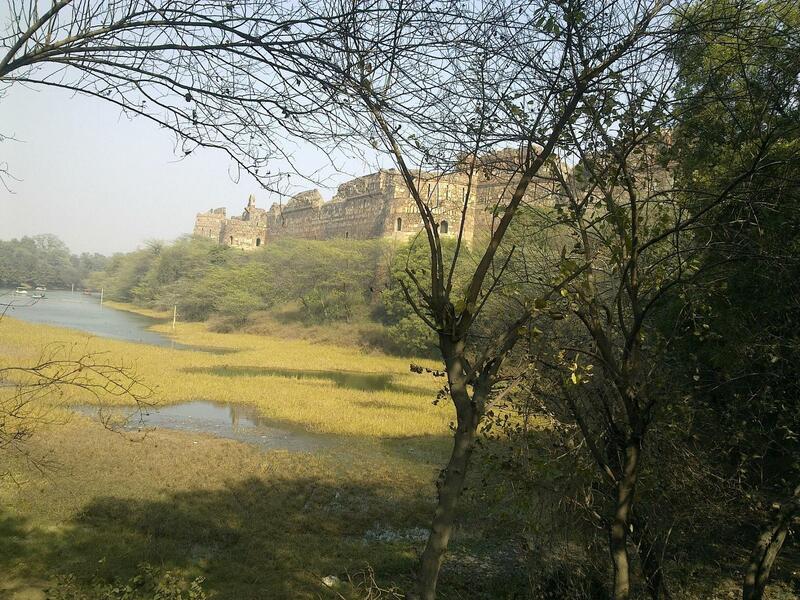 The tank is now an algae ridden lake but considering the view, studying at this Madarsa must have been a delightful experience. A chronicler of those times once wrote, “People come from East and West in caravan after caravan just to look at it”. 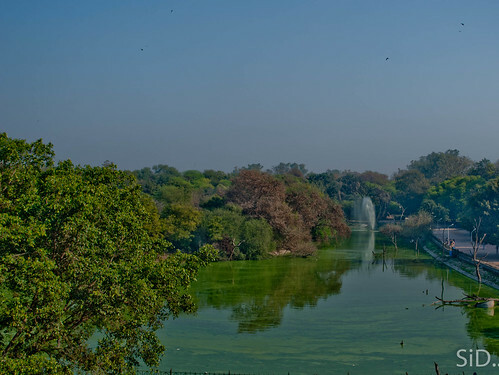 It is hard to imagine that this place, with a dense cover of trees is in the middle of Delhi. May be that is an important difference between Delhi and Mumbai. In Mumbai you hardly find a place where you have the out-of-the-city feel. 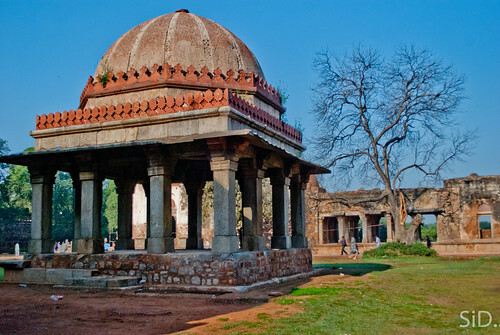 Delhi on the other hand has many Delhi’s within it – some ruined, some beautiful and some like this corner of Hauz khas – Peaceful. May be it looked peaceful because it was an early Sunday morning. But I was not alone this morning. 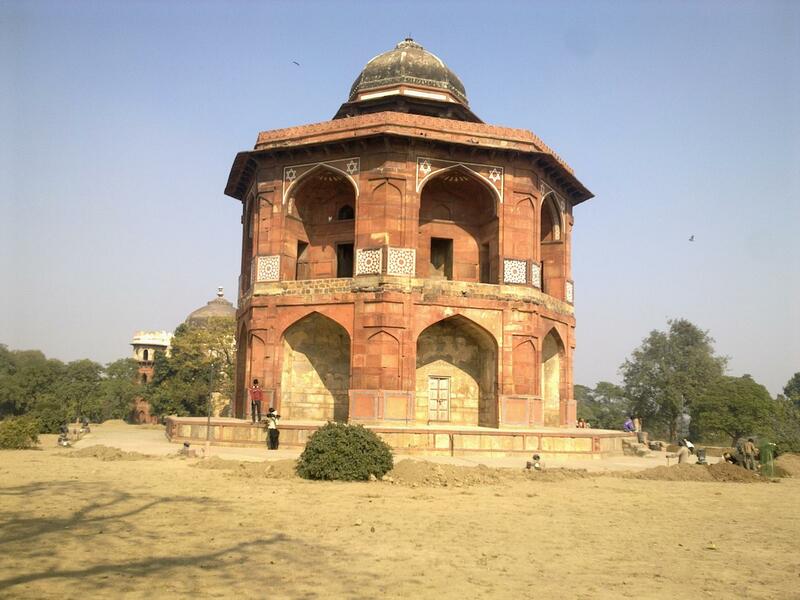 There was another group of people who were there visiting the tomb and the Madarsa. A lady in the group was diligently picking up the wrappers of chips, biscuits etc which people had strewn the place with. And some time later as I passed the group, I realized that I knew one of the persons in that group. It was Nandan Nilekani. 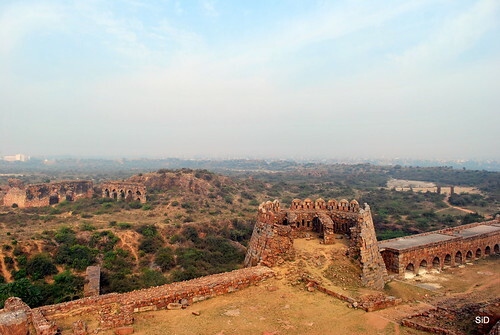 As you sit some 20 meters above the ground, cool breeze gently ruffling you with nothing but silence to give you company, Delhi truly seems far away.